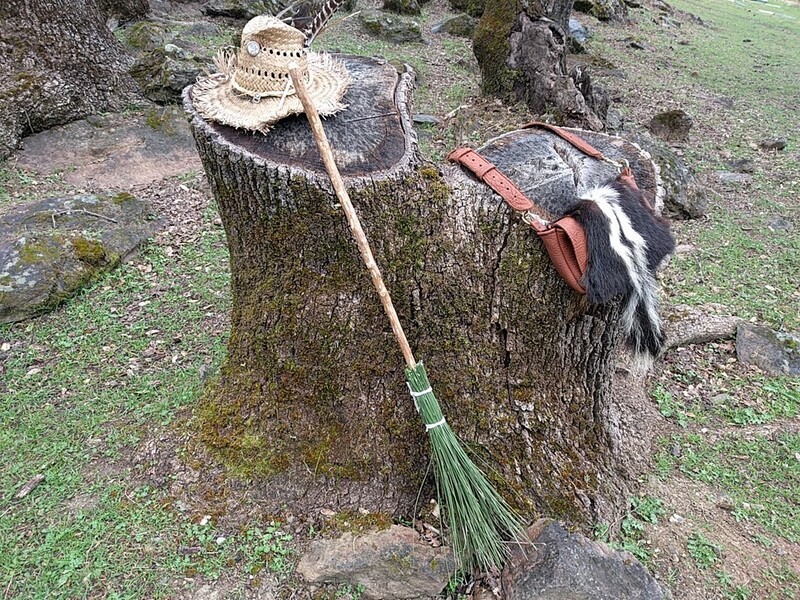 Prior to the Spring Equinox, I decided that my life was missing a custom crafted, hella sweet broom with which I could sweep a hearth. 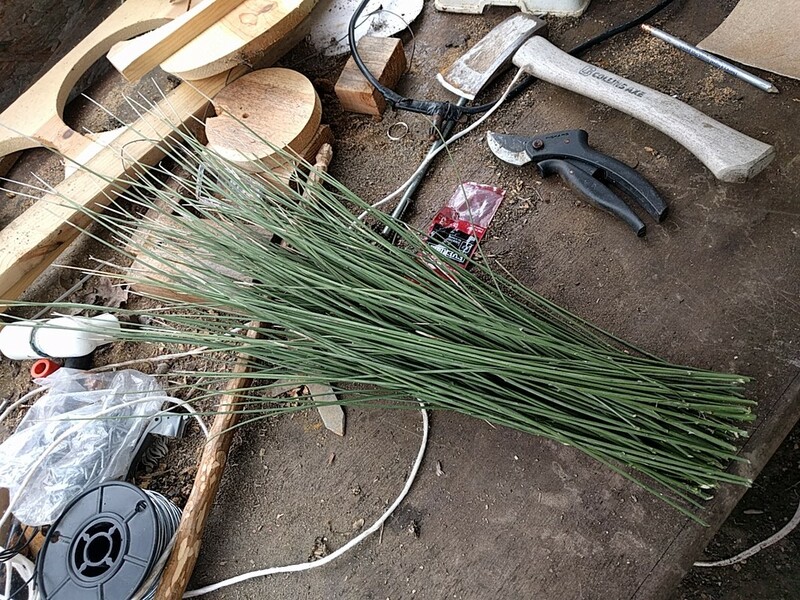 The broom handle is a piece of mystery pear, the bristles are from some pieces of scotch broom , and the bristles will be tied to the handle using twine from a bale of sheep snacks. 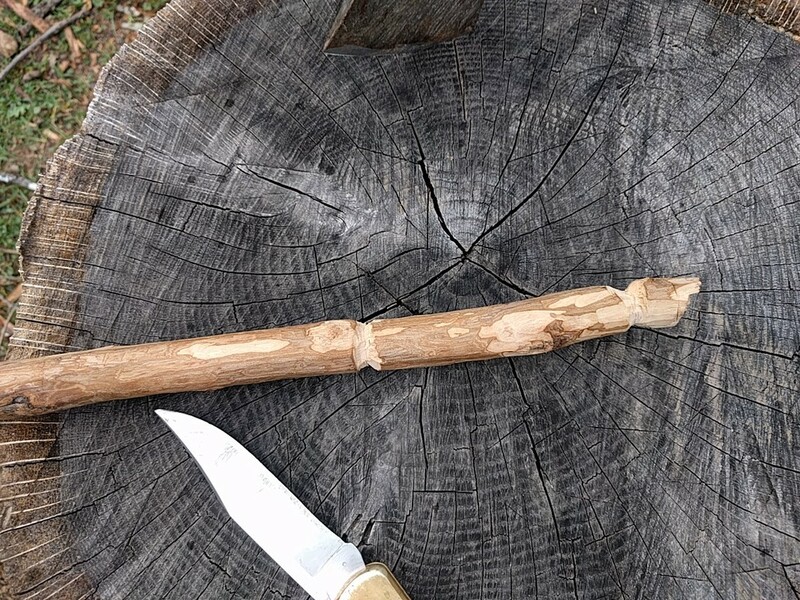 2 notches were carved near the bristle end of the broom stick. These are the location where I will be afixing the bristles to the handle. 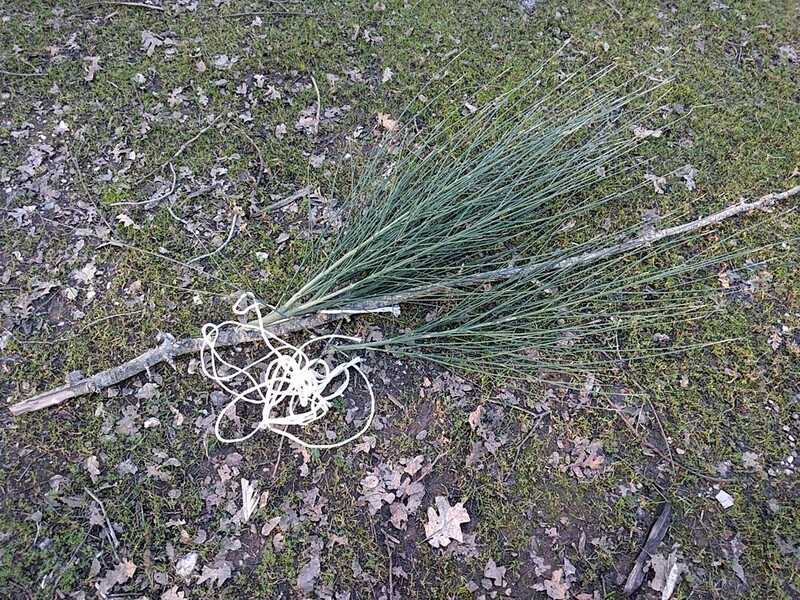 From the main stalk of scotch broom, all of the smaller twiggy bits were removed and put in a pile. 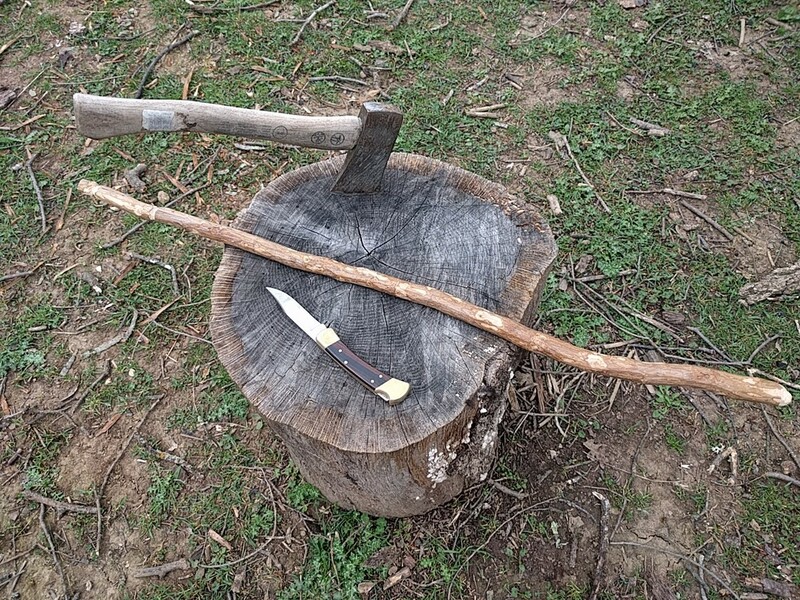 The bristles were aligned and tied to the handle where the notches were cut. Then the ends of the bristles were trimmed to be uniform in length.